Recently I was chatting with one of my online friends with dementia in Canada, Christine T. She lives alone, so doesn’t have the luxury of the support of a partner to be her BUB. My BUB is at work every day, so in that time I’m doing it alone too. Anyway, Christine and I both decided that being actively involved with DAI means we each have a lot of Back Up Brains. 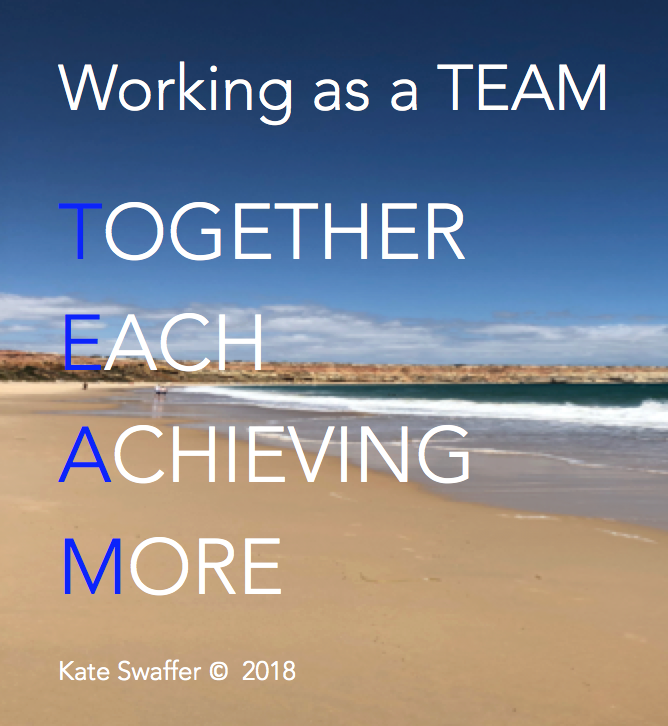 Together we get through our days as one big online TEAM! Even when we may disagree on something we still work as a TEAM. We were not only talking about getting things done for DAI, we talked about how being in DAI means we are also supporting each other just to get through each day, sometimes even to eat. Laughter and tears, shared alongside the frustration of the symptoms of dementia are our best way forward. In fact, it’s occasionally getting almost too difficult to hang out with most others who are not going through this experience, apart from very close friends and close family. We ALL want tangible, meaningful and positive CHANGE. We have to collaborate and work together as by doing that was we are stronger and can achieve so much more. And in reality, I firmly believe those who don’t want work together, or be part of a TEAM who is willing to work with another TEAM, make our advocacy and activism progress much slower. My comments never appear to be received – wonder if they actually arrive? Doing anything I can to learn and do the best I can! Did the MOOC Understanding Dementia , enrolled to do the BA in Dementia care – sadly life just became to complicated. Still in plan for the future! I’m in my 80s but the love of my life will get the best advocacy I can provide – and anyone else in my life. Thanks Kate. Loving being part of the Advocacy Team. Appreciate the support and of feeling that together we can make a difference. Well put. Anyone who has the temerity to judge you can take a running jump. My take is that we can always learn from others and the opportunity to learn from you and your team is invaluable. Thank you. Good on you kate and very best wishes!